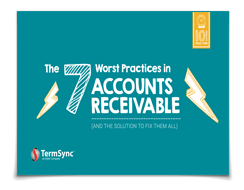 Raise a hand if your accounts receivable (AR) process is bad. Like just-thinking-about-it-gives-you-a-headache kind of bad. Sound familiar? OK maybe it’s not all doom and gloom but — take it from us — if you process customer invoices manually, there’s a good chance you’re in the throes of some pretty awful AR practices. This guidebook helps you identify those wrongs and how to make them right.